James has a background in science, urban planning and urban history, and is interested in the historical emergence of contemporary problems, ideas and practices of governance. In March 2018, he was appointed as a Postdoctoral Research Fellow within the PEAK Urban project at the ACC. His research examines the historical and contemporary interface between scientific knowledge, urban policymaking and urban governance in Cape Town and South Africa. James joined the ACC as a researcher in 2010. His past work at the ACC focused on enhancing urban planning education and urban research in sub-Saharan Africa through the Association of African Planning Schools, of which he is General Secretary, and the African Urban Research Initiative, which he helped to establish. 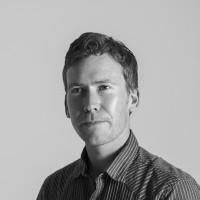 James is also interested in emerging approaches to theorising and researching African and Southern cities and urbanisation, and the ethics of planning thought and praxis in the urban South. Some of his previous research has examined the post-apartheid dynamics of South African cities in terms of spatial growth trends, place-naming practices, and the application of the ‘right to the city’ discourse. 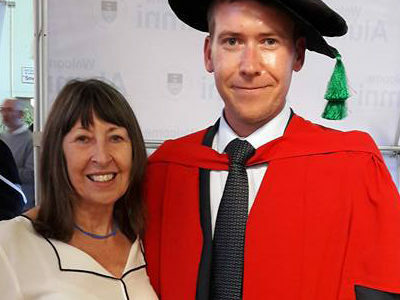 James holds an undergraduate degree in biosciences from Rhodes University, a Master of Town and Regional Planning from the University of KwaZulu-Natal, a MA Urban History from the University of Leicester, and a PhD from the University of Cape Town. His doctoral research examined how food scarcity emerged as a problem of government in colonial Kenya, and was undertaken as part of the ‘Consuming Urban Poverty: Food Systems Planning and Governance in Africa’s Secondary Cities’ project at the ACC. Duminy, J. (2017) ‘A Piecemeal Avalanche: The Uneven Topography of Statistics in Colonial Kenya, c. 1900 to 1952’, Urban Forum, DOI:10.1007/s12132-017-9318-z. Duminy, J. (2017) ‘Ecologizing Regions; Securing Food: Governing Scarcity, Population and Territory in British East and Southern Africa’, Territory, Politics, Governance, DOI:10.1080/21622671.2017.1306457. Winkler, T. and Duminy, J. (2016) ‘Planning to Change the World? Questioning the Normative Ethics of Planning Theories’, Planning Theory, 15(2), pp. 111–129. Ernstson, H., Lawhon, M. and Duminy, J. (2014) ‘Conceptual Vectors of African Urbanism: “Engaged Theory-Making” and “Platforms of Engagement”’, Regional Studies, 48(9), pp. 1563–1577. Duminy, J. (2014) ‘Street Renaming, Symbolic Capital, and Resistance in Durban, South Africa’, Environment and Planning D: Society and Space, 32, pp. 310–328. Duminy, J., Andreasen, J., Lerise, F., Odendaal, N. and Watson, V. (eds) (2014) Planning and the Case Study Method in Africa: The Planner in Dirty Shoes. Basingstoke: Palgrave Macmillan. Duminy, J. (2017) ‘Street Renaming, Symbolic Capital, and Resistance in Durban, South Africa’. In Rose-Redwood, R., Alderman, D. and Azaryahu, M. (eds), The Political Life of Urban Streetscapes: Naming, Politics, and Place. New York and London: Routledge. Cirolia, L.R., Smit, W. and Duminy, J. (2015) ‘Grappling with Housing Issues at the City Scale: Mobilising the Right to the City in South Africa’. In Herrie, P., Ley, A. and Fokdal, J. (eds), From Local Action to Global Networks: Housing the Urban Poor. New York and London: Routledge. Odendaal, N., Duminy, J. and Inkoom, D.K.B. (2015) ‘The Developmentalist Origins and Evolution of Planning Education in Sub-Saharan Africa, c1940 to 2010’. In Silva, C.N. (ed. ), Urban Planning in Sub-Saharan Africa: Colonial and Post-Colonial Cultures (New York and London: Routledge). Duminy, J. (2015) ‘Using the Case Study Approach to Inform Planning Practice and Research in Africa’. In Silva, E.A., Healey, P., Harris, N. and Van den Broeck, P. (eds), The Routledge Handbook of Planning Research Methods. New York and London: Routledge. Duminy, J., Odendaal, N. and Watson, V. (2014) ‘The Education and Research Imperatives of Urban Planning Professionals in Africa’. In Parnell, S. and Pieterse, E. (eds), Africa’s Urban Revolution: Policy Pressures. London: Zed books. Duminy, J., Watson, V. and Odendaal, N. (2013) ‘Doing Research in African Cities: The Case Study Method’. In Kresl, P.K. and Sobrino, J. (eds), Handbook of Research Methods and Applications in Urban Economies. Cheltenham: Edward Elgar.